Floral Fantasy Coloring Book - Relationship Resources Inc. Vibrant and attractive, accurately rendered collection of beautiful flowers. 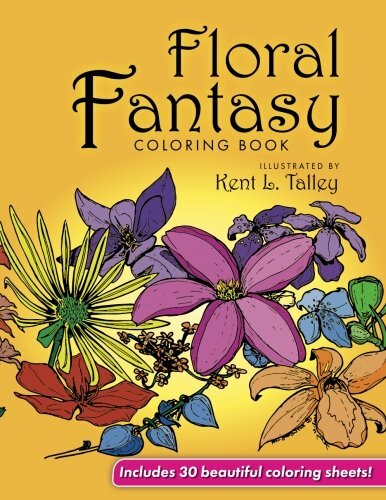 A treat for coloring book fans, flower lovers, and gardening enthusiasts. Colorists can relax and enjoy as they bring their own conceptions of color and hue to these superb illustrations.